Companies turn to text and email marketing with the overall goal of increasing sales and making money. This tactic, however, backfired big time for one restaurant in Amityville, NY, costing $28,500. After receiving a slew of reportedly unsolicited texts from the Muscle Maker Grill, one fed-up man took their marketing firm to court in a bid to stop their annoying and unwanted marketing messages. The judge ruled in the guy’s favor, the New York Post reports, awarding him $1,500 for each of the 19 texts he received from the restaurant over a six-day period last year. That’s where the $28,500 comes in. Company lawyers insisted he signed up for the promotional messages at a kiosk inside the restaurant – although the guy said he had never even been to the place. And even if people do sign up to receive messages from your company, you need to be careful they know exactly what to expect. Protecting your company from spam complaints is a must to protect your reputation, as well as your bank account. MailChimp says the bulk of spam complaints comes from using outdated or purchased lists, as well as those compiled from online purchases, trade shows, contest entries or other sources where people didn’t specifically opt-in to receive your emails. One way to minimize your risk of spam complaints is by using updated lists containing names of folks who specifically gave their approval to receive your messages. A few other savvy strategies can reduce the risk even further. Go for a double opt-in method. This method requires people to opt-in to your mailing list with two different actions. The first is typically filling out a form on a sign-up page. The second is clicking a confirmation link you then email their way. Ask permission. Just because people purchase your products or services or provide their email for a download doesn’t mean they’re necessarily open to receiving your emails. Make sure you specifically ask for their permission before you add their name to the list. Send professional emails. 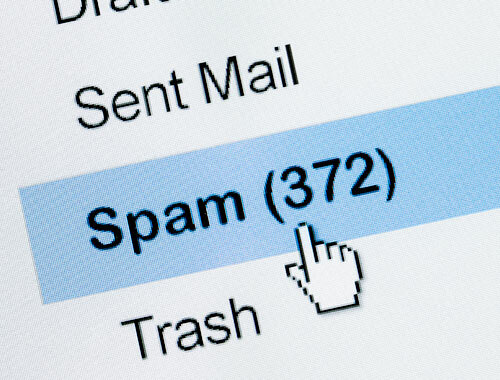 Sloppy, unprofessional emails that look like spam are often marked as spam by the recipient – even when they’re not. Make sure your company name is obvious, the message is clear and the layout is attractive and professional. Don’t lie or hide your opt-out link. Asking people to sign up for monthly emails and then sending a slew of daily messages is a prime way to tick them off. If people are sick of your emails, make sure you make it easy for them to opt-out with an obvious link and a simple process. Remember, you ideally want folks to opt-out if they no longer want to receive your messages, especially since the ready alternative is reporting your messages as spam.